As informed by the new “architect” at the helm Datuk Faris Yahaya in this Property360 Q&A, there’s more to award-winning builder ORANGEBEAM than meets the eye. Why is ORANGEBEAM building mainly in Putrajaya? A Putrajaya resident, Faris is encouraged by the increasing transaction values across principal property sectors. We started way back in 1986 as a construction company. Along the way, it gave birth to a development company, which is primarily involved in property construction in Putrajaya. When we first started, Putrajaya was a natural choice given the high demand for construction works and property development. Today, Putrajaya has come a long way as an administration city with aspirations to become a smart city. We are confident of its market growth given the many efforts by the government to improve the city’s connectivity through the ongoing MRT projects, among others. Through our decades of experience in delivering highly technical projects and services, we have many notable projects under our belt beyond Putrajaya. We have completed almost RM14 billion worth of projects covering maritime infrastructure, public buildings such as hospitals, green and sustainable developments, and highrise construction. Your take on the Putrajaya property market. It is encouraging to see steady growth in Putrajaya’s property market, especially when we observe the increasing transaction values across its principal property subsectors. In Q3 2018, Putrajaya recorded 112 transactions worth RM96.4 million while the same quarter in 2017 saw only 67 transactions worth RM63.4 million. The city has easy access to highways and close proximity to the airport. Accessibility in Putrajaya is expected to get a further boost from the scheduled completion of the Sungai Buloh-Serdang-Putrajaya Mass Rapid Transit Line (MRT Line 2) in 2022. Coupled with the government’s efforts to develop public transportation and cashless discounts set for users, we are confident that Putrajaya is on its way to becoming a key location for property investments and an ideal city for work, live and play. 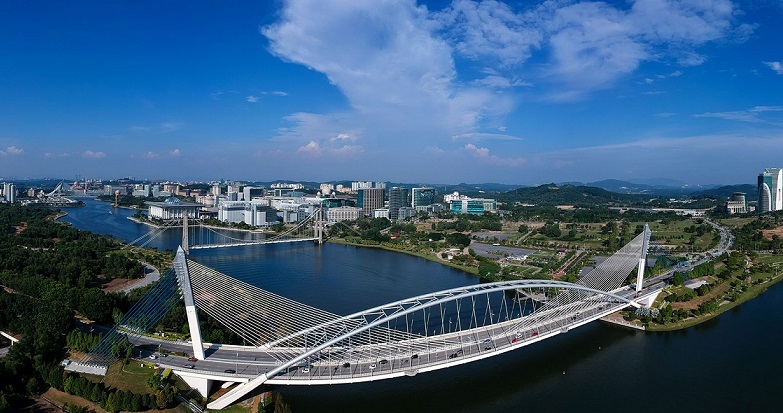 Besides, Putrajaya has established itself as a well-planned city with striking modern architecture in the midst of green spaces, gardens and parks. When I look at the opportunities the city presents, I feel proud to be a resident of Putrajaya. With the recent news from Putrajaya Corporation (PPj) to transform Putrajaya into a smart city, my team and I are optimistic and confident in the city’s long-term prospects. In addition, the Ministry of Communications and Multimedia’s announcement that Putrajaya will be one of the first two cities in the country to receive 5G technology facilities will stand to make a significant difference to the communities and businesses in the city. What’s great about these tech developments is the proximity of Putrajaya to Cyberjaya, a city known for its Smart City features and growing tech ecosystem. This presents tremendous opportunities for Putrajaya to collaborate with their neighbouring stakeholders, instead of reinventing the wheel. This vision for Putrajaya is in line with our very own goal at ORANGEBEAM to disrupt the industry and deliver highly technical and specialised projects and services, infused with the right level of technologies. 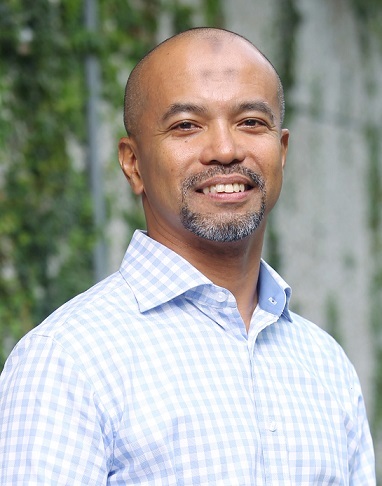 With plans by its local authority to transform Putrajaya into a smart city, and with smart city Cyberjaya as its neighbourbour, Faris sees tremendous opportunities to collaborate instead of reinventing the wheel. Tell us more about ORANGEBEAM and its people. I have had people telling me, “ORANGEBEAM sounds like a tech company.” So, I take the opportunity to tell them that ORANGEBEAM comprises two singular words: ORANGE and BEAM. ORANGE is bold and represents the colour of “Future and Innovation”. BEAM exemplifies strength and has a critical function for resisting loads and forces by transferring these horizontally into vertical forces. This perfectly describes the spirit of resilience and inseparability of our team. As the new “architect” at the helm, I received the mandate from shareholders to take ORANGEBEAM’s business in the direction it needs to go. The focus has always been about delivery and meeting the needs of our customers, stakeholders and the community. The building and construction industry is ready for a change. I want to ensure that we are ready to lead that change. I am confident that with a bold blueprint charting a precise roadmap to grow the company, we can truly serve our stakeholders. By combining our sector expertise with the right level of technologies, ORANGEBAM has delivered highly technical and specialised projects and services to our customers. What are its past and current projects? They include the Diamond Building which is the headquarters for the Malaysia Energy Commission in Putrajaya, the first office building in Malaysia to obtain the Green Building Index Platinum rating and the first outside of Singapore to obtain the Green Mark platinum rating. On the residential end, we were responsible for the development of D’Heron at The Lake in Putrajaya that is the first energy-efficient Building Integrated Photovoltaic (BIPV) residential development in Malaysia. The homes were equipped with grid-connected BIPV panels that use Photovoltaic, a renewable energy technology that generates electricity. ORANGEBEAM was also involved in highly complex hospital building projects such as Ramsay Sime Darby ParkCity Medical Centre and Thomson Hospital, highrise construction projects like Menara FELDA, Intermark Retail Podium and Pavilion Residences as well as commercial developments such as Bangsar Shopping Centre and Pavilion Kuala Lumpur. 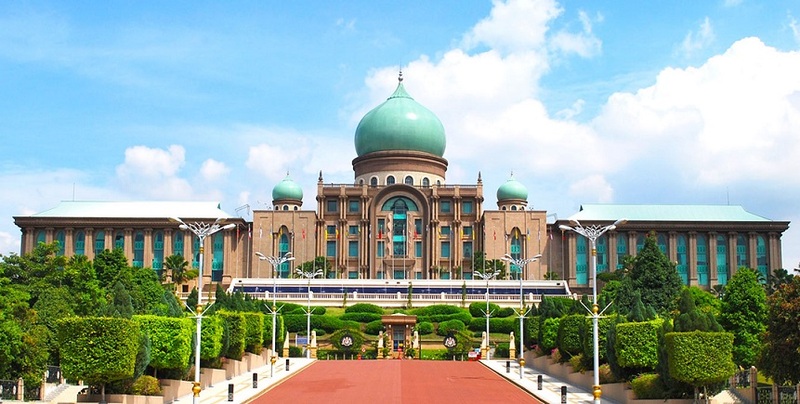 Putrajaya is a well-planned city with modern architecture amid green spaces, gardens and parks. ORANGEBEAM looks to disrupt the way it builds and develops the future by combining its sector expertise with selective technologies in delivering highly technical and specialised offerings to its customers. Please elaborate. As an award-winning builder, we have built up decades of experience in shaping and challenging the boundaries of different sectors. This gives us a precise roadmap of how we build the future. According to McKinsey’s report in 2015, the construction industry is the least digitised after agriculture. In line with the changing industry landscape, we are challenging boundaries, creating new ways of working, identifying novel synergies and approaches for value creation. We are infused with technologies like the Building Information Modelling, S-Curve Stringent Schedule Management, combined with top-of-the-class Quality Control standards and measurement to success. And we continue to identify and synthesise new technologies and ways of working to champion changes in the industry. In this transformational journey, we aspire to be part of the point of intervention and be the voice of the industry. This will be done through collaborative efforts by advocating the need to adopt and infuse the right level of technologies across the ecosystem together with industry players, regulators, government stakeholders and end-users. ** Have you read Part 1 of this article yet? Click HERE.